A Nevada teen who cops say died while playing a form of Russian roulette was actually targeted by two so-called friends with a grudge, his mother claims. The two teens have been charged as adults in connection with the shooting death of 17-year-old Las Vegas resident Matthew Minkler. Minkler was with the suspects in a house in Henderson when the gun went off on June 9, according to a probable cause report obtained by the Las Vegas Review-Journal. 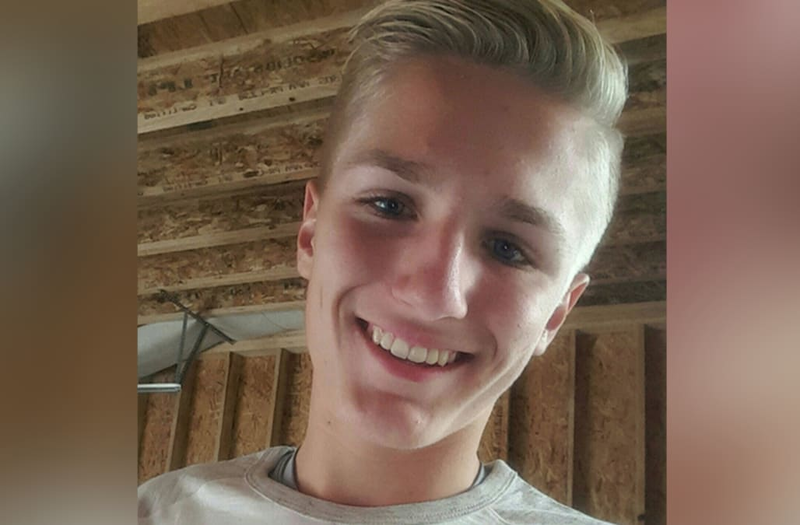 Kody Harlan, 17, and 16-year-old Jaiden Caruso allegedly ran from the house after the shot went off but returned later to clean up the scene, according to the Review-Journal. Detectives found the words "F--- Matt" spray-painted onto the closet door, according to the newspaper. "We know this wasn't Russian roulette," Matthew's mother Jamie Shanklin told the newspaper. "My kid was shot in the chin, like they were shutting him up." Authorities found Minkler's body after Harlan led police on a car chase in a stolen Mercedes and was arrested. Harlan reportedly said he had been involved with a murder earlier in the day. Minkler's wallet was found inside the stolen car, according to cops. Caruso purchased new shoes with $300 from Matthew's wallet, according to the newspaper. "He cared more about his shoes," Shanklin told the newspaper. Investigators found several videos from the scene of the shooting when they searched a suspect's cellphone. They also believe there were other teens at the scene of the shooting. “That's one of the most concerning things about this whole case," Henderson Police Officer Scott Williams told the Review-Journal on Wednesday. "Why have these kids not told their parents? Having them come forward is not only helpful for us, but these kids witnessed this traumatic event. They need counseling to get that off their chests." Caruso is accused of murder with a deadly weapon and robbery, while Harlan faces an accessory to murder charge, according to the Review-Journal.